Your “hell yes!” is your joy compass. It’s how you truly feel about a person, decision, commitment or situation. Your body has wisdom too; it feels when something is right or wrong for you – always. Even if (especially if!) we are in pain, or having a difficult time, we can listen for and follow our “hell yes”. This is the key to what brings us happiness, what brings us love. This is for you, if you’re waiting for someone to commit to being with you. This is for you, if you’re feeling confused in your relationship. This is for you, if you feel unsure of your purpose. It’s for you, if you’re insecure about how you look or what you wear. Don’t waste your non-renewable time. Don’t waste your precious energy. Don’t waste your well-deserved money. Do surround yourself with “hell yes” people. If someone isn’t sure if they want you – if they’re not saying “hell yes!” – then it’s a no. Skip… move on. Ladies, if you’re shopping and the dress isn’t a “hell yes!”, leave it. If you’re proposing a project and your colleagues/partners aren’t 100% percent into it, consider finding someone else to work with. I’ve decided to work only with people who have the same vision and share similar values of respect, transparency, love and kindness. Sure, occasionally we need to spend some time motivating others and showing them the beauty of our vision, but generally, if it’s not a “hell yes”, it will take a lot of unnecessary hard work to make it work. Sometimes we go through hell before we understand our “hell yes”. I’m sharing this insight to help you shorten your learning curve and to inspire you. We all need to hear words that will motivate us to step up, show up and feel stronger. I hope this message kicks in at exactly the right time for you. Cheers! To your “hell yes”! What are you going to say “hell yes” to in your life right now? 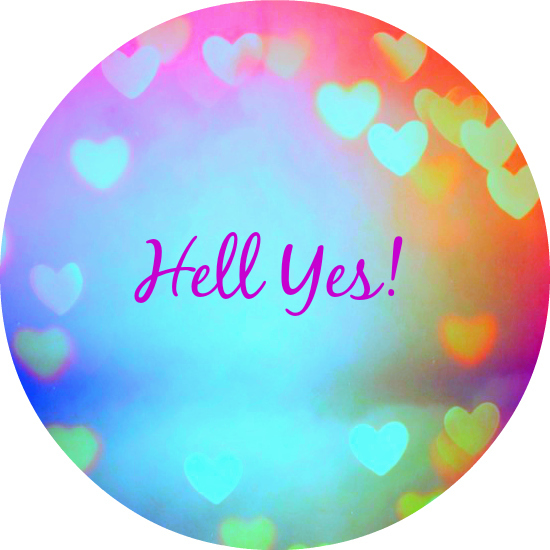 Are you already following your “hell yes”? I’d love to hear from you – really! If you like this article, subscribe to our newsletter and share this message with someone who is a “hell yes” for you in whichever way. Thank you for this passionate and inspiring piece! A career coach once encouraged me to follow my “yes” when considering freelance projects to take on. 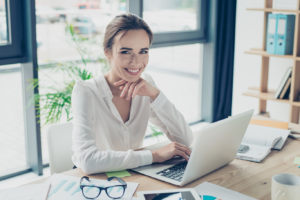 By being aware of my body and emotional response (“is it a yes or a no?”), I began choosing work that made me happier. Interestingly, it’s never a “no” if I’m scared of a great opportunity. My “no” is more a sense of dread. The first time I turned down “no” work, I felt scared and then immediate relief! And empowerment, because it left space for more “yes” work to arrive. Thank you so much for your comment Renata and for being such a valuable member of the Expat Nest community. I agree it can be scary at the beginning but it is so liberating, isn’t it?!! Thank you for this inspiring article. It is helping to have a clear vision about life. Hell yes to all the opportunities coming my way. Hell yes to life. Thanks for your comment Bhawana! Glad this article gave you the inspiration your needed! Cheers to your “hell yes” ? It’s my pleasure to be of service to you Brenda! A beautifully written piece that resonates with me. I shall save this and refer to it from time to time so that the wisdom contained in these words will truly be absorbed. I will share these words too with some carefully selected people that I know will benefit from this wisdom. Thank you so much for your comment and for being such a loyal member of the Expat Nest community,Peter! Glad you found this article valuable and inspiring! Cheers to you as well ? Thank you for this inspiring and meaningful piece Vivian! I also see that you share the same birthday as my sister! As for me , the ‘hell yes” theory is what I aim to live by from now on. It will mean having to say “no: to a lot of things and that is not something I am good at doing (not at all!). But I now say Hell Yes to Health, Prosperity, Peace, Purpose, Fun In Life, Joy, Meaningful and Wonderful Relationships, People Who Uplift and Support Me, Love of Family and Friends, and Removal of Toxic Relationships! I am apprehensive about saying more Nos instead of Yes at first, but I realise that this is going to be part of life until the art of saying No and Hell Yes! is refined but I am eager for the adventure and challenge. Thanks once again for sharing this Vivian! Thanks for your comment! Love to see to what you say ‘Hell Yes’ and ‘Hell No’. By the way, you just gave me an idea to write an article on this ? Thanks for your kind words and I will let you know what my Hell Yes answers and Hell Nos will be. I am glad to be able to give you an insight for another article and I look forward to more posts in future! Here is to good and beautiful things coming our way in future! While I find this “hell yes” strategy very inspiring, I can’t help but wonder if it isn’t a bit too black-and-white.. I can definitely see how only buying “Hell yes”-dresses can improve your wardrobe & wallet, but when it comes to other aspects of life, don’t you think a bit of a grey zone can be helpful? You might not feel “hell yes” about your partner 100% of the time – does that mean you should drop them as soon as there’s a bumpy patch? Or your example of proposing a new project to your colleagues – they might not be completely enthusiastic about it, but with some time and thought they might come around and realize it’s a “hell yes” project. What I’m saying is, I love this idea of you “hell yes” compass, and I agree that we should really take a good look at things/people/circumstances in our lives that we aren’t enthusiastic about, but I also believe that it’s not quite as straight forward as that. Thank you for your comment and for sharing your point of view with us. Life is full of grey areas, I agree! Interestingly, I find that my “hell yes” is actually very useful for the more complex decisions in life – though it is much harder to trust it in those moments! I see my “hell yes” as a compass that guides my decisions and actions towards what is truly right for me and in line with my values and how I want to use my time (which is non-renewable). It’s not an excuse to quit if things get tough, especially when it comes to relationships that we have worked hard to build and invested so much in emotionally (I’m so glad you raised this point). Rather my “hell yes” keeps me steady and on course – especially during those “bumpy times” you mention.